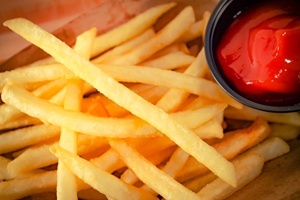 Gift Certificates from 30A Burger are a yummy gift idea for friends, family or anyone else. Pick up some of these perfect presents on your next visit or call 850-909-0600 for more information. Call us for a Gift Certificate now! 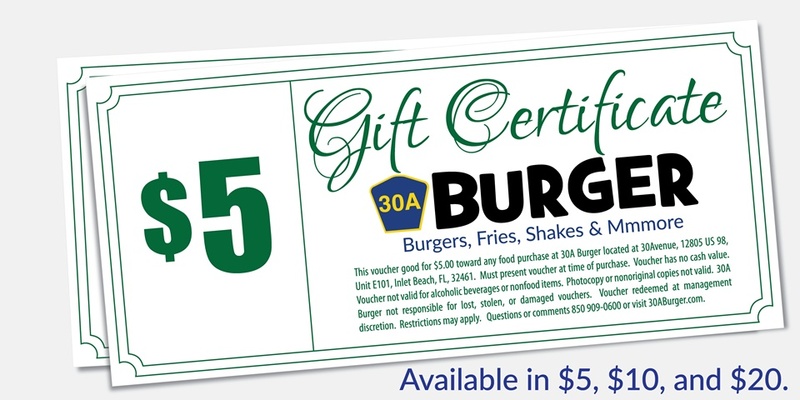 30A Burger Gift Certificates are available in various amounts and redeemable toward any regular priced menu items such as Burgers, Chicken Sandwiches, Perfect Cut French Fries, Hand Battered Onion Rings, Hand Spun Custard Shakes, Retail Merchandise and more!